Kia orana… is the traditional greeting here in Cook Islands, meaning both hello and warmest greetings. Meitaki maata… means thank you for supporting us in delivering a high quality product that is readily available and affordable to the general public. 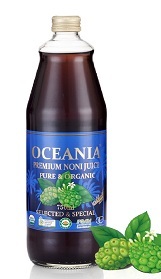 Cook Islands Noni Marketing Ltd has been the producer of 100% Pure Cook Islands Noni Juice for the past fourteen years. Our Noni fruit is sun ripened naturally with no green or immature fruit picked, selecting only certified organic fruit in our manufacturing process. Our Noni fruit is then processed by using a traditional Cook Islands method with a minimum of 12 weeks fermentation process to preserve all of nature’s gift. It is 100% pure, undiluted and bursting with health and vitality. Our company is committed and dedicated to supplying the world’s best Noni Juice that Cook Islanders have used for centuries in the healing of all ailments at a fair and reasonable price. We offer superior quality organic Noni Juice in small to large quantities and ship worldwide to markets such as China, Taiwan, Japan, Korea Republic, New Zealand and Australia. We can also contract manufacture for your private label. Important Notice: The information in this website is for educational purposes only and is not recommended as a means of diagnosing or treating all illness. If you have questions as to the appropriateness of the information in regards to your own health, consult a qualified health professional. All matters concerning physical and mental health should be supervised by a health practitioner experienced in treating the relevant condition. Neither the publisher nor authors of Cook Islands Noni Marketing Ltd directly or indirectly dispense medical advice, nor do they prescribe any remedies or assume any responsibility for those who choose to treat themselves.